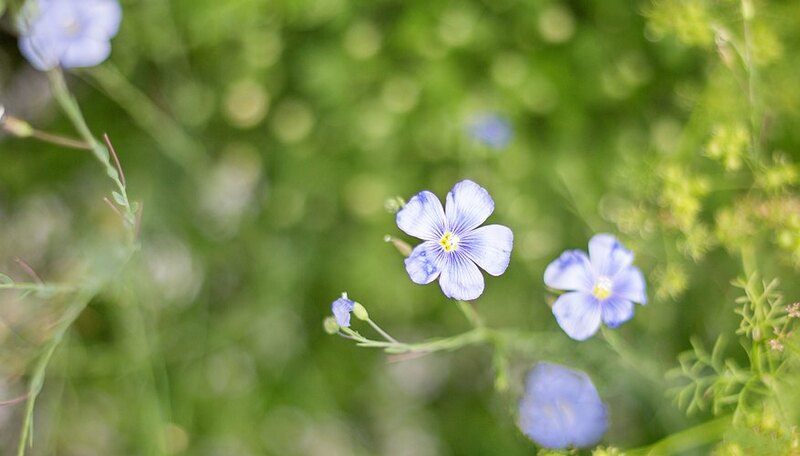 Oil-rich seeds used in baking and salads, flax seeds are produced by common flax (Linum usitatissimum). An annual plant, common flax grows about 28 inches tall and 8 inches wide and produces seed heads 90 to 200 days after sowing. Yield and quality varies between cultivars -- some types are grown for their fiber -- and some cultivars produce seed that's mildly toxic. Each seed capsule contains up to 10 yellow, light brown or dark brown, shiny seeds. Deep, fertile, well-drained, moist soil and sunny, sheltered sites give the best flax seed production. Dig the planting site to a depth of 1 foot, and mix in a 2-inch layer of organic matter to improve the soil quality on clay, sandy, rocky or poor soils. Rake the soil surface to create a fine, crumbly texture, and sow flax seed 15 to 20 days before the average final spring frost date, or November to December in frost-free climates. Dust the seeds with flour to make them easier to see, and scatter them evenly over the soil surface at a rate of 1 tablespoon per 10 square feet. 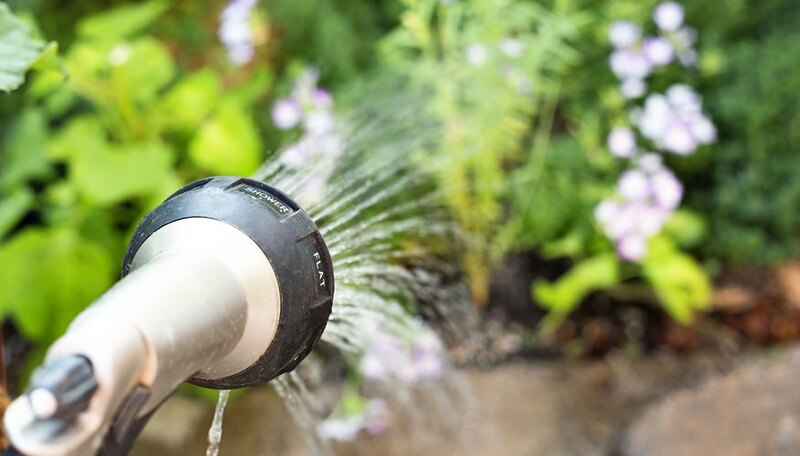 Rake the seeds 1/4 to 1/2 inch beneath the soil surface and irrigate thoroughly with a garden hose on a fine spray setting. 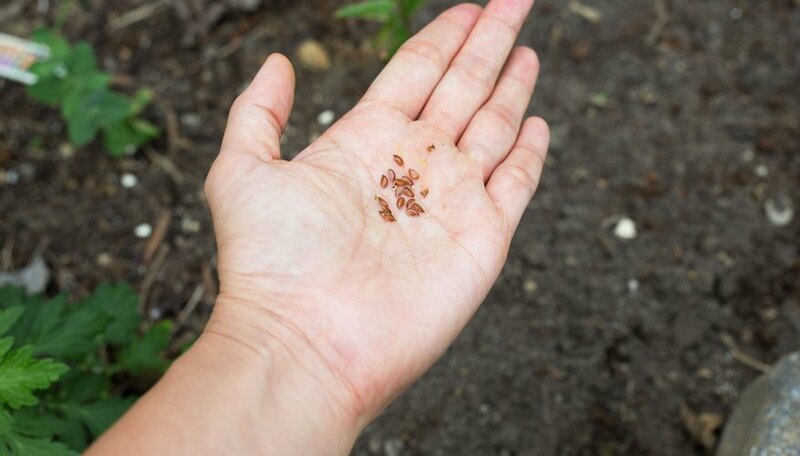 Flax seeds sprout in about 10 days, and plants require weeding while young. Water flax seed beds regularly so that the soil is constantly moist. Common flax requires about 1 inch of water around planting time and 6 to 8 inches altogether until seed heads form. Remove weeds by pulling them out gently to avoid disturbing young flax plant roots. Growing plants eventually shade out weed growth. Fertilize flax growing on poor soils, such as sandy or rocky soils, applying a 24-8-16 fertilizer diluted at a rate of 1 tablespoon per gallon of water every two weeks until flax seed heads form. Flax seeds are ready for harvest when they rattle in their cases. Stop watering flax plants after seed heads form to encourage the seeds to ripen. As the plants mature, the leaves on the lower two-thirds or one-half of the stems turn yellow and drop off, and the seed heads turn golden or tan. To harvest flax seeds, pull up the plants by their roots, bundle them into two or three handfuls of stems and tie them together with twine. Hang the bundles in a warm dry place until the seed heads dry in three to five weeks. Flax seed heads require vigorous crushing to remove the seeds. 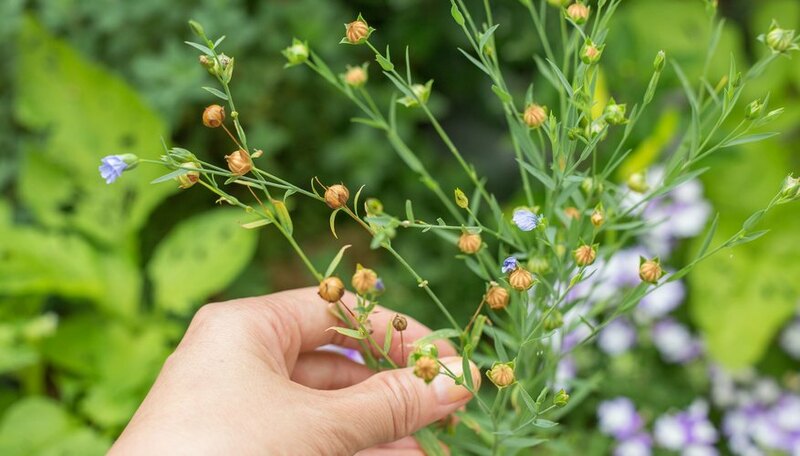 Place a dried flax plant bundle in an old pillowcase and tie the case around the stem ends. 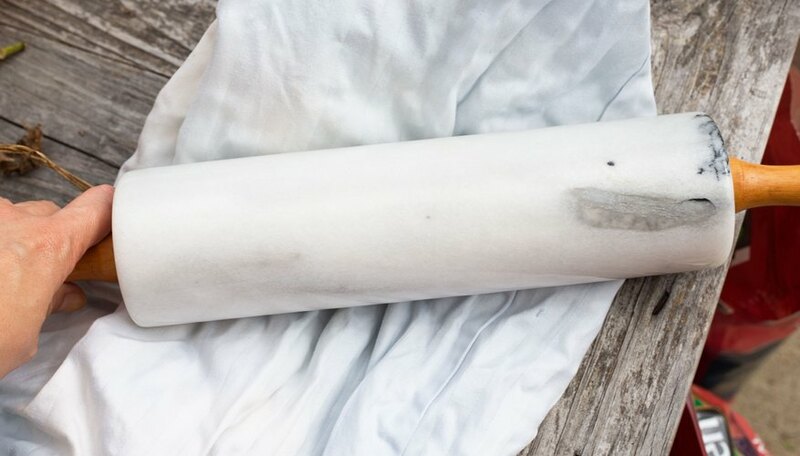 Place the pillowcase on a hard surface such as a driveway and beat it with a block of wood, roll over it heavily with a wooden rolling pin or jump on it. Remove the crushed seed heads and seeds and strain the mixture through a colander or coarse sieve to remove large pieces of plant debris. Pour the sieved contents from one bowl to another repeatedly in an outdoor, breezy area to winnow away remaining chaff and dust.